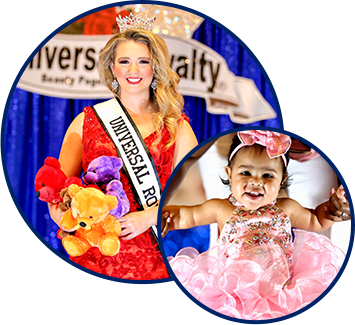 Find out when Universal Royalty® children's beauty pageants will be coming to your town. Contact us in Austin, Texas to learn more about upcoming pageants, photo shoots, television exposure and media events. 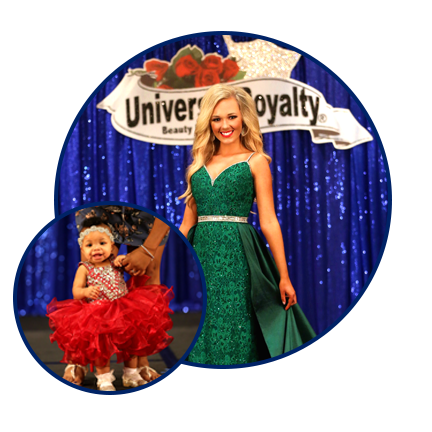 Enter today for your chance to win fabulous prizes and awards on stage at Universal Royalty® National pageant August 3, 2019 in Austin, Texas. Babies, toddlers, teens, adults, boys, girls, and contestants of all ages are welcome to compete. All contestants receive a gift bag and award as a thank you for entering Universal Royalty Beauty Pageant. 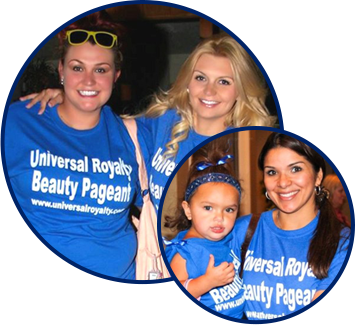 Get your very own Official Trademark Universal Royalty® Beauty Pageant T-Shirt for only $20.00. Just by wearing your Universal Royalty® trademark T-Shirt you could get discounts, promotions and VIP treatment. Represent the most Televised and Prestigious baby and child beauty pageant worldwide. Order your Universal Royalty® T-Shirt today.